When you retain the attorneys of Jack Byno & Associates for a traffic ticket in Aledo, Texas, the first thing we will do is send a letter of representation to the municipal court. Once the appropriate paperwork is filed with the court we will be given a court date. When the court date arrives, one of our lawyers will appear and plea your case to the best deal we can make. Jack Byno has been representing clients in Parker County since 1994 with speeding tickets, CDL violations, driver's license suspension hearings , and lifting traffic warrants. Contact the law firm with experience for help with your Aledo traffic tickets. Do You Need A Lawyer For An Aledo, Texas Speeding Ticket? If you have a speeding ticket in the Aledo Municipal Court you have options. You can plea no contest, guilty, or not guilty. The attorneys of Jack Byno & Associates only represent traffic cases. Nothing else. It is our business to try and help you minimize the effects of a speeding ticket . In most cases, one of our lawyers can appear in court on your behalf and plead your case to a "probation." Assuming you qualify for the probation, the speeding ticket will not appear on your record if you successfully complete the probation. Contact me to see if probation is available to you for Parker County speeding ticket. Do You Need An Attorney For An Aledo Traffic Warrant? When you receive a traffic ticket in Parker County, Texas, on the face of the citation it will state the date you must appear in Court. If you fail to make an appearance by the due date, the court may issue a warrant for your arrest and charge you with the additional violation of Failure to Appear (FTA) or Violation of Promise to Appear (VPTA). So instead of just having the one original charge, you may now have two cases. When you have traffic warrants in Aledo, Texas, the attorneys of Jack Byno & Associates can post bonds, lift the warrants, and appear in court on your behalf to plea the cases to the best deal we can make. If you would like to lift your traffic warrants before the statewide warrant roundup contact me . Do You Need A Lawyer That Represents CDL Holders In Aledo? My name is Jack Byno and I have been representing CDL holders in Parker County, Texas since 1994. I can appear in the Aledo Municipal Court for you and have the experience you need. The law does not permit CDLs to have probation or take a defensive driving class. The lawyers of our firm know that any blemishes on your driving record can effect your livelihood. Contact me to discuss your options for a CDL violation in Aledo. I have been helping clients with their Parker County traffic tickets since 1994. If you have a speeding ticket in Aledo, Texas or you have a traffic warrant contact me . 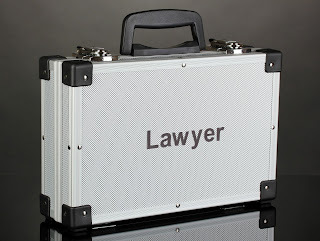 In most cases, I can plea your case to a deferred disposition, which is a type of probation. Assuming you qualify for the probation and successfully complete it, the traffic ticket will not appear on your driving record. Please note, CDL holders are not eligible for probation. However, you still have options. Let's talk about them!